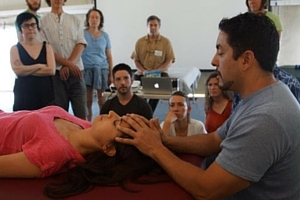 In this month’s Symposium Spotlight interview, Eric Moya joins us to talk about CranioSacral Therapy for a more complex world, and why we need to develop a new skill set for the times we live in. Hi Eric! Thanks for joining us. Could you start of by telling us a bit about your background and what led you to CST? Well, I have two backgrounds - one was as a massage therapist and the other was as a mental health counsellor in Marriage, Family and Child Therapy. My background and approach are very much based on systems theory. There’s that deep interest in the mind body connection, there’s a real interest in bodywork, and there’s a real deep interest in psychology - and so these just came together, in a non-traditional way. You’ve developed the Chronic Depletion course that’s now part of the Upledger training - why is it so relevant now? One of the main theses of the course as a whole is that the world is becoming more complex. I’ve been in practice for about 19 years and clients are more complicated now than they were 19 years ago. More and more people are coming in with a laundry list of diagnoses and problems, and a Western medicine that’s busy trying to treat all the symptoms pretty unsuccessfully. People are taking a ton of medications and not getting any better. And what’s really underneath all of that is a system that is unable to regulate itself effectively any longer. The stressors upon us as a species are increasing much faster than we’re capable of adapting, and so we’re seeing a kind of crisis in our ability to compensate for them. One of my beliefs is that as manual therapists, as good mind-body therapists, we’re at the intersection of the self and the world. At this time when people are likely to drop out of treatment, we need to evolve and adapt our skills so that we’re able to help the world better. In terms of Chronic Depletion, what might practitioners and students be noticing in their practice? From a CranioSacral Therapy point of view, the system itself just has a different feel to it: the quality is severely diminished. The available energy for healing can become almost non-existent. It’s almost like the inner wisdom is offline…it’s like somebody took a blanket and tossed it over the head of the inner wisdom, and we have a hard time accessing it. Because of this, and because there’s so much going on, it can be confusing to know where to begin. Also, as a practitioner if you have your hands on a chronically depleted client, the releases come very slowly. Another thing that’s difficult with chronically depleted clients is that they have very unpredictable treatment reactions. So they either get no apparent benefit, or they’ll frequently have an adverse treatment reaction - where the practitioner gave them a really gentle treatment, and then for a couple of days afterwards they’re in a world of pain or discomfort. The picture I’m trying to convey is that if you truly have a chronically depleted client, there are a lot of factors colluding together that make it likely for the patient to drop out of treatment early, or for the practitioner to feel unsuccessful. Yet these are the people that need our help the most. So the thesis of the course is that we need a different skill set for working with this population. How can we develop this skill set? The big topic in the Chronic Depletion class is: what are skills of working with complex systems? Some examples are working iteratively (so sometimes getting lots of small releases in different areas rather than big releases); how to tap into the level of agitation in the system - being able to get feedback on whether we’re pushing the system too fast or not; really adopting a philosophical attitude of fluidly moving back and forth between ‘influence state’ and ‘witness state’ (it’s not about finding the right answer, it’s more of a ‘let’s try this out and see how the system responds and integrates’). Another feature of the course is that we start breaking down restrictions into those that are more core, and those that are more peripheral. And the last big topic is learning how to work with relationships and patterns. For the most part, manual therapists - across the board - have a kind of Search And Destroy attitude with restrictions. Find a restriction, and make it go away. Or if you’re a good practitioner, you make lots of restrictions go away! Or you make the biggest restriction go away! We totally lock ourselves into a corner with that. We still need the skills of treating restrictions, but in an ideal world we would move back and forth between the restrictions, and treating the pattern as a whole. Any couples counsellor worth her salt knows that if you have a couple arguing in front of you, the worst thing you can do is ask them who started the fight! It turns into an infinite regression. That’s an example of how searching for a restriction can sometimes be the wrong thing to do. In couples counselling, you don’t look for the problem, you treat the relationship. You help people shift away from an adversarial stance to one of connection and collaboration. What is your vision for CranioSacral Therapy in the years ahead? Since the 50s and 60s, people have begun to realise that things aren’t always as predictable as they thought. With the beginnings of chaos concepts and Systems Theory, scientists have been asking: how do we describe a world that’s much more complicated? How do you model the behaviour of a complex system whose outcome you can’t really control? John Upledger was doing his research and birthing CranioSacral Therapy at a time when the world was just starting to discover that it didn’t fit as cleanly into the ideas we once had about it. Fast forward a few decades, and we have another 30 or 40 years of experience in the world of being able to understand complex things like how we create our identity, how we interact with each other, and complex systems. My larger belief is that if we’re ever going to have an integrated medicine for mind, body and spirit, we need to update our languages and our concepts, and that we’re still developing this. What I see happening in the next hundred years are new ideas, languages and concepts to truly understand an integrated body, mind spirit. I think CST has tremendous potential to be part of that. 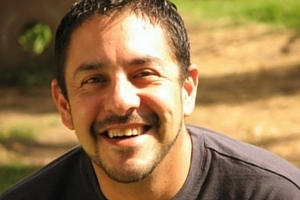 Eric Moya will be appearing at the UIUK Rhythm & Resonance Symposium in September 2016. Eric has been teaching for the Upledger Institute for 16 years and is an instructor for CST I, CST II, and the clinical applications courses. He is the developer of the CST working with Chronic Depletion course as well as the IAHE Clinical Mentorship Program and its training.